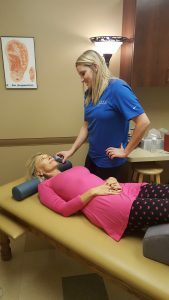 Chiropractic is a natural health care profession that focuses on form and function of the musculoskeletal and nervous systems to reduce pain, prevent injury, and provide general wellness without the use of drugs and surgery. Insurance is accepted for all chiropractic services. Acupuncture is a form a Traditional Chinese Medicine that has been used for centuries around the world. This drug-free treatment uses thin needles on specific points to stimulate balance and natural healing. Insurance is not accepted for this service. Look years younger naturally through acupuncture and microcurrent facial massage. Insurance is not accepted for this service. 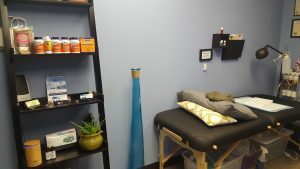 ZenJen can help you relax or get you the perfect deep tissue sports massage. Her massage is personalized to fit your health goals. Insurance is not accepted for this service. While orthotics are not necessary for every patient, Orthofeet, Inc orthotics can be customized to your feet. Orthotics can balance your body reducing stress on your low back, hips, knees, and feet. Insurance is not accepted for this service. Colon hydrotherapy is a safe, gentle, non-advasive procedure in which low pressure warm water circulates through the colon softening up old, hard matter, while retraining the colon to function more efficiently. Insurance is not accepted for this service.